Team Tronics thanks the community for their incredible support and would like to present our Education plan. First and foremost, we believe that for any plan to be effective the community must feel it has a voice. If elected it's our mission to build and maintain a platform that gives all members an equal voice. Every member of the Tronics community will have the ability to suggest, vote, and participate in Tronics supported projects. Tron has developed one of the industry's leading blockchain environments, and with that we feel it is our responsibility to build an ecosystem alongside this environment that facilitates a fluidity to its users greater than what has been seen before. It is our goal to become a liaison between the core technology within Tron's network and community driven efforts to expand on this technology helping both Tron and its technology flourish. Tronics will stride to engage the community members, focusing on the knowledge about Tron, their partners and everything blockchain. 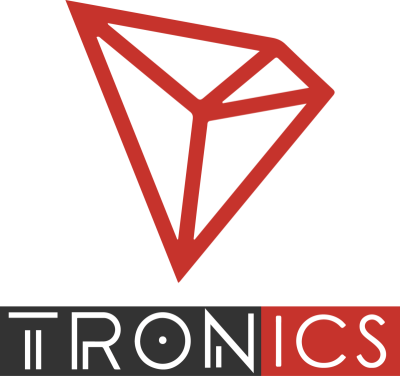 We at Team Tronics understand that every member who registers with ‘TU’ will have a certain level of understanding of Tron, Crytpo, Blockchain. There will be members who are just entering the space, others who have been around for years and we want to offer learning experiences that are tailored for increased engagement and achievement; from novice to expert. These activities and experiences will range from reading articles, taking quizzes, test and watching videos. We will be running full courses and degrees allowing members to monitor the progress of their study’s. Why would members of the community want to be a part of ‘TU’? The next time you are speaking with someone who may ask about or even some one who is spreading FUD about tron or blockchain in general; you will be armed with all the information to have a discussion/debate with them and help them to understand why you feel the importance of Tron is so great to the world. Team Tronics, if voted to represent the community as a Super Representative; will pledge to allocate annual rewards to the community as detailed in the Community Support Plan. By using these rewards, as well as providing good content we hope to improve long-term participation rates and help build the strongest community possible. We believe in the immense importance of the Tron project. As team members we feel that if you are working on a project that you truly believe in, you will never see obstacles, only solutions and the vision that we are all aiming for will pull us to where we ned to be.